Since we're all beauty bloggers here, I'm sure you, just like me have a ton of products. I love mostly everything I have but something new always comes along and it gets pushed aside whilst I make room for the new lipstick or mascara in my life. I know a lot of people do 'Project 10 Pan' but I don't buy a lot any more so I don't feel the need to ban myself. Instead I'm going to pull out old products I've been neglecting of late and start using them more regularly again. 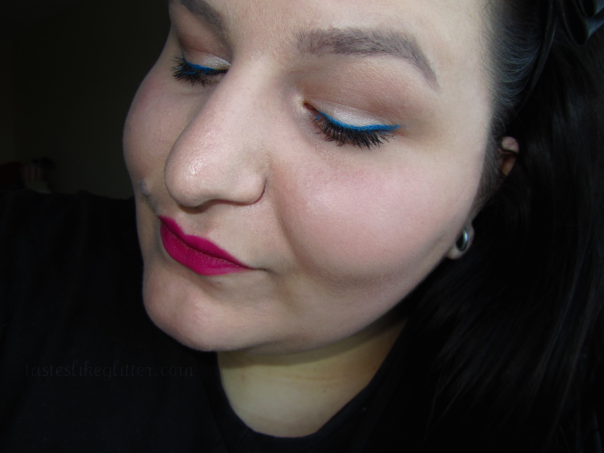 ♡ M.A.C Liquidlast Liner - Blue Herizon. I bought this on my first trip to a M.A.C counter and was instantly drawn to the brightness of the colour. The formula is an odd one though, I must say. I can't explain it but it's quite tacky. Oh M.A.C, why you lie? It doesn't come in the array of colours it did any more. They discontinued all bar Point Black and I really don't understand why. This has an overall 4.7/5 rating on the website. There is a few issues like it takes a while to try and if you open your lids up too quick and you get that annoying mark on your lid, you all know what I mean, it will not budge! But this eyeliner is amazing, seriously, so good. It does not budge and I have a hard time getting it off at the end of the day. Such a beautiful colour though. I usually tend to wear this when I want a snazzy eye but really can't be bothered with too much colour. Effortless. 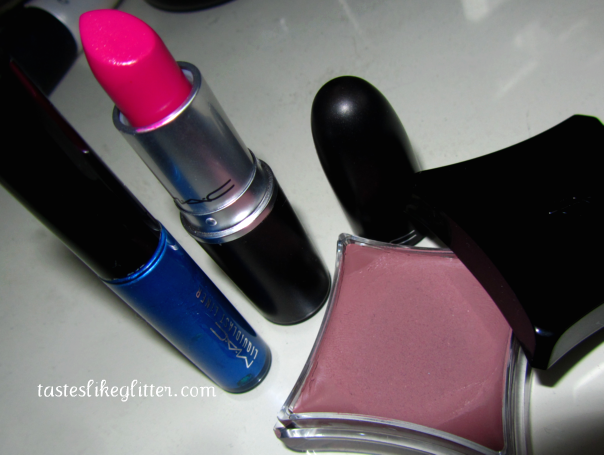 ♡ M.A.C Lipstick - Girl About Town. I Back-2-M.A.C'd for this back in December now and although it might be a touch to bold for regular daytime wear, I still wear it on occasion. I love it, it's such a wonderful, long lasting colour that leaves a slight stain behind so your lips stay coloured long after the lipstick leaves your lips. Some people hate that but I personally think it helps hide fading so much. 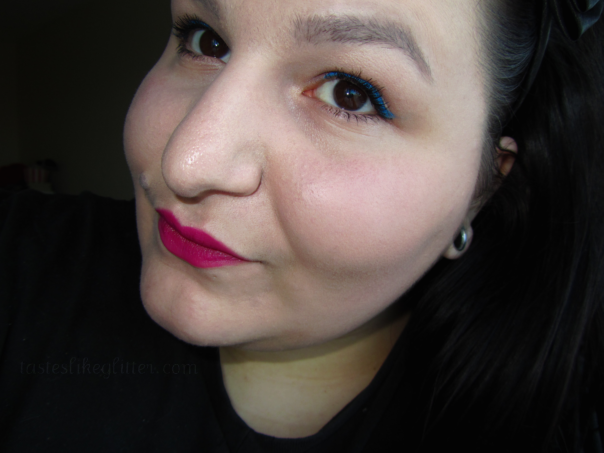 ♡ Illamasqua Cream Pigment - Delirium. I received this as part of the Toxic Nature collection and at first, was really underwhelmed with the colour. Illamasqua describe it as a 'rose taupe with a matte finish' and I personally don't find myself levitating towards those colours, let alone wearing them. So it's been sitting in my dressing table unloved ever since. Only last week, I decided I wanted to try my hand at contouring. I've been too scared to before (hence not having a colour to do so) because I feel it would look odd on such a chubby face. Non the less I've been using it as a light contour whenever I've one my makeup since and I love it. Hollow would probably be a better suited colour but Josh (Petrilude) always insists on using what you have, so I'm doing just that.